Aquabatix has launched their innovative water entertainment in the US with a group of incredibly talented synchronized swimmers, who were formerly known as Aquateque. Known as Aquabatix USA, we can bring our creative flair, professionalism and highly skilled aquatic performances to your next corporate event, pool party, PR launch and even help to create an immersive experience for an experiential lead campaign. We will bring the WOW factor to every party! Aquabatix also excels at underwater performances in aquariums and glass water tanks. For all on screen requirements, Aquabatix USA provides stunning underwater models for filming,TV productions and photographic shoots along with choreographers to help directors and models create visually captivating movement in water. 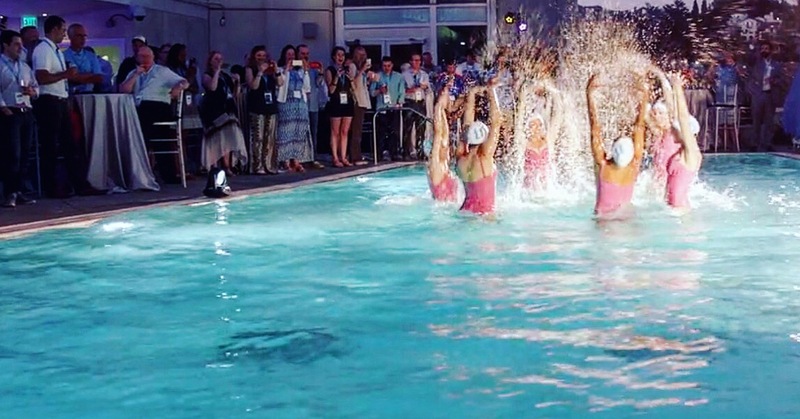 Since launching, Aquabatix USA has already performed at several events across Los Angeles this summer including a corporate function for Ticketmaster, a pool party for the Spring Street social party. a private pool party in Beverly Hills plus had artists involved in a couple of advertising shoots to be released soon. The synchronized swimmers, which include Olympians, have also appeared in clips for the Golden Globes, Lady Gaga’s music video for G.U.Y. and for a United Airlines campaign. Follow Aquabatix USA on instagram @aquabatixusa , Twitter @AquabatixUSA and keep up to date on Facebook with Aquabatix and all of their adventures globally.